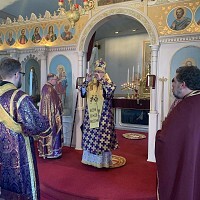 Ukrainian Orthodox Church of the USA - October 3, 2010: Ukrainian-American Talent Festival! 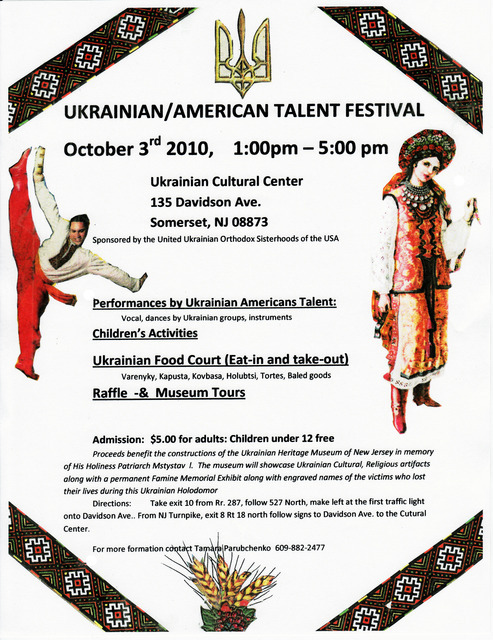 October 3, 2010: Ukrainian-American Talent Festival! 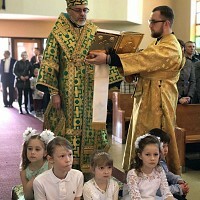 Sponsored by the United Ukrainian Orthodox Sisterhoods of the UOC of the USA! 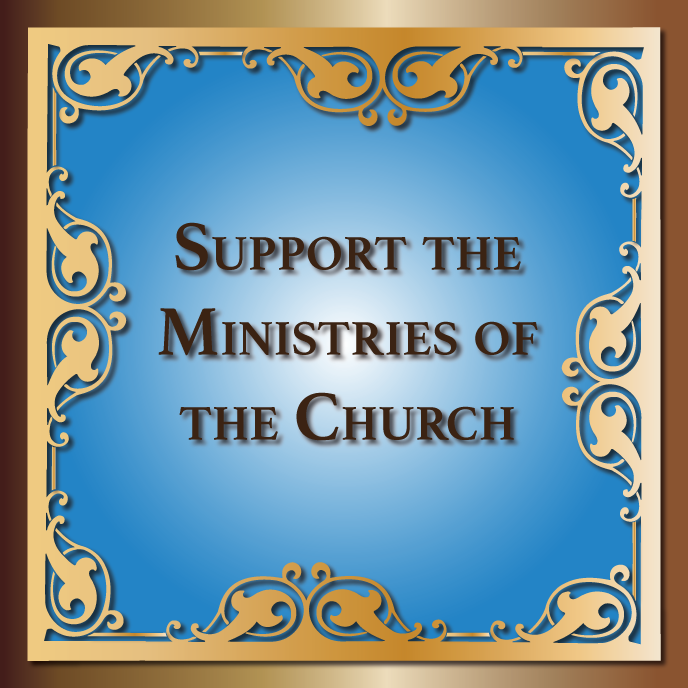 Proceeds benefit the construction of the Ukrainian Heritage Museum of NJ in memory of His Holiness Patriarch Mstyslav I. The Museum will showcase Ukrainian cultural and religious artifacts along with a permanent Famine Memorial Exhibit dedicated to the victims of the Genocidal Famine in Ukraine in 1932-1933! Pani-matka Rita Krywonos of Blessed Memory! October 25th is College Student Sunday!